The 88th Brigade makes an assault from Gueudecourt at 14:05 during the Battle of The Transloy Ridges. All four companies of the 1st Battalion Newfoundland Regiment advance in line with the 1st Battalion Essex Regiment on their left. By 14:30 both battalions have secured their initial objective – “Hilt” Trench in the German front line. As the Newfoundlanders advance to their final objective heavy machine-gun fire from the front and right flank force them back to Hilt Trench. On the left a sharp German counter attck drives the Essex back to the outskirts of Gueudecourt leaving the Newfoundland Regiment with an exposed flank. Bombing parties from the Newfoundland Regiment clear and secure the vacated portion of Hilt Trench and with the Battalion’s line now doubled in length all ranks begin digging in the hard chalk to construct new firing step and parapet opposite the German lines. By late afternoon a German counter-attack develops but determined fire from the Newfoundlanders drives off the enemy with heavy losses. The position is held against further assaults and during the night the arrival of a relieving battalion enables the defenders to hand over the lines and go into reserve. 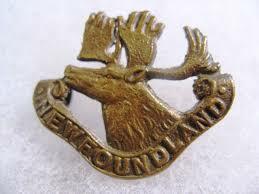 During the 55 hours that Newfoundland Regiment has been in the trenches they has suffered 120 killed and almost as many wounded. Lance Corporal Oswald Raymond Goodyear killed at age 18. He will have two brothers killed in action, one in each of the next two years. Private Edward Hardy is killed at age 18. His brother was killed in September 1915. Private Frank Paine Tuff is killed at age 18. His brother will die of wounds in April 1917. Private Alexander Williams is killed at age 26. His brother will be killed in December 1917. Private James Hall is killed. His brother will die on service in England in October 1918. Private Robert S Ryall is killed at age 20. His brother was killed on the first day of the Battle of the Somme. Private James Pittman Watts is killed at age 25. His brother will be killed in October 1917. Canadian Royal Naval Air Service ace Raymond Collishaw claims his first victory. Lieutenant Leonard Cameron Kidd (Royal Flying Corps) and his observer Second Lieutenant Fenton Ellis Stanley Phillips MC (Devonshire Regiment attached Royal Flying Corps) are killed in action when hit by British anti aircraft fire. Phillips is the son of the Rector of Bow, Devon and is 21-years old. Major Ernest Frederick Powys Sketchley DSO (General Staff 63rd Royal Naval Division Royal Marine Light Infantry) is killed at age 35. He is the son of the Reverend E P Sketchley. Major Lionel Kerwood (Worcestershire Regiment attached Cheshire Regiment) is killed in action. His brother was killed in June 1915. Captain William Du Pre Mansel (Lancashire Fusiliers) is killed at age 47. His brother died in the Royal Navy at sea in March 1915. They are sons of the Reverend Owen Luttrell Mansel. Captain and Adjutant Robert Denzil Patterson (Liverpool Regiment) is killed at age 23. He is a Rosslyn Park Rugby footballer. Captain Alexander Reid Gibb (Royal Field Artillery) is killed at age 42. He is a prominent cross country runner winning the Scottish 4 Mile championship in 1900 and gaining his cap for three years in Scottish Athletic International contests. Captain Maurice Cazalet Harrison (Royal Warwickshire Regiment) is killed in action at age 22. His brother was killed in September 1914. Captain Reginald Noel Davis (Duke of Wellington’s Regiment) is killed in action at age 26. His widow will die of pneumonia while serving with the French Red Cross in Marseilles in 1918. Captain MacDonald Warriner Brown (Manchester Regiment) is killed in action at age 26. He is the son of the Reverend F Brown. Captain Benjamin Eastlake Leader (Royal West Surrey Regiment attached Duke of Wellington’s Regiment) is killed at age 39. He is the son of Royal Academy artist Benjamin Williams Leader and a landscape artist himself and his son will be killed in the Second World War. Lieutenant Herbert James Cooper Penrose Fitzgerald (Royal Irish Fusiliers) is killed at age 25. His brother died of wounds in July of this year. Lieutenant Thomas George Rutherford (Alberta Regiment) dies of wounds received in action at age 36. He is the son of the Reverend Thomas. Lieutenant Herbert Guy Bromilow McLaughlin (Seaforth Highlanders) dies of wounds received while leading his men into action at age 18. His brother was killed last November. They are sons of Vivian Guy Ouseley McLaughlin JP. Lieutenant Eustace Emil Stuart Hyde (Irish Fusiliers) is killed in action at age 23. His brother was killed on the first day of the Battle of the Somme and they are sons of the Reverend Tom Dodsworth Hyde Vicar of Whitehapel. Second Lieutenant Noel Chester Kempston (Connaught Rangers attached Inniskilling Fusiliers) is killed at age 23. He is the son of the Reverend K Kempston. Second Lieutenant Robert Basil Wood (Border Regiment) is killed being the final of three brothers who lose their lives in the Great War. Second Lieutenant Albert Clarence Leonard Jepson (York and Lancashire Regiment) is killed at age 20. His brother will be killed in September 1918. Second Lieutenant Alphonse Colenbrander Addison (South African Infantry) is killed in action at age 20. His brother who will also be killed in the Great War as will his sister who will be lost in the sinking of S S Galwey Castle. Second Lieutenant Francis Ballantyne Leece (Duke of Wellington’s Regiment) is killed at age 29. He is the son of the Reverend John Charles Henry Leece Vicar of Rushen. Second Lieutenant Donald William Alers Hankey (Warwickshire Regiment) is killed at age 31. He is a contributor to the Spector under the nom de guerre ‘A Student Under Arms’ under which he made the memorable remark “If wounded – Blighty, If killed, The Resurrection”. He is best known for two volumes of essays about the volunteer Army in the Great War. His older brother Lieutenant Hugh Martin Alers Hanakey was killed in the South Africa War and another brother is Colonel Maurice Hankey of the Cabinet Secretariat. Second Lieutenant William Hornby (Liverpool Regiment) is killed in action at age 23. He is the son of Archdeacon Phipps John Hornby of Lancaster who lost another son in May 1915. Second Lieutenant Henry Peters (Manchester Regiment) is killed in action at age 19. His twin brother will be killed next month. Member Barbara Esmee St John (British Red Cross Society, Voluntary Aid Detachment) dies at age 31 while serving in France. She is the daughter of the Reverend Henry St John. Corporal George Bartlett Elliott (Manchester Regiment) is killed at Flers at age 22. His brother will be killed in August 1918. Lance Corporal Herbert James Rogers (Seaforth Highlanders) is killed at age 23. He is a first class cricketer for Hampshire from 1912 to 1914 who played in the 1012 County Championship against Middlesex. Private Wilfred Covington (Bedfordshire Regiment) is killed at age 26. His brother was killed last July. Private Bert Kingston (Bedfordshire Regiment) is killed at age 26 one month after his brother. Private John Merryweather (Bedfordshire Regiment) is killed in action at age 28. His two brothers will be killed over the next two years. Private Archie Munro (Duke of Wellington’s Regiment) is killed at age 19. His brother was killed last October. Private David Sutherland (Seaforth Highlanders) is killed in action at age 36. His brother will die wounds in December 1917. Private Milsom Parr (Machine Gun Corps) is killed becoming the 3rd brother to be killed in last two years. Private Henry Smith Ingrey (Suffolk Regiment) is killed at age 32. His younger brother will be killed in September 1918. Private William Lawrie (Argyll and Sutherland Highlanders) dies of wounds received in action at age 23. His two younger brothers will be killed later in the war. Private Noble Charles Cranfield (Quebec Regiment) is killed at age 33. His brother will be killed in exactly 2 years and 1 day. Three brothers are killed in action serving in the Suffolk Regiment. Privates Bert Parker McGee at age 23, James Parker McGee and Thomas Parker McGee are all killed in action. Their fourth brother will be killed in August 1917. Privates Alfred George age 25 and Edward James Vincent (South African Infantry) are killed together. Private Samuel Brewster (Lancashire Fusiliers) is killed. His brother will be killed in April 1918.